Apéritif in Place aux Herbes, Menton. 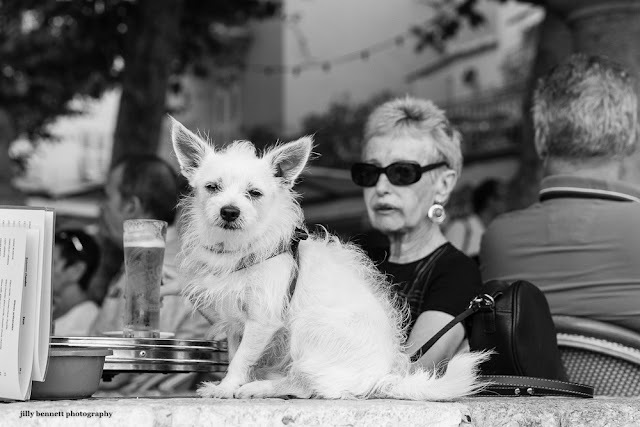 Apéritif sur la place aux Herbes, Menton. A typical scene I guess. The dog has a rather enigmatic expression. Eau my gawd, this is too fabulous, dahling. I love it. Vivian Maler would perhaps taken a similar image? Your street images are interesting and often very very good, so that is why I suddenly thought of V.M. Thanks everyone and thanks Gunn for the Vivan Maier comment. I love her photogrpahy so a great compliment!